Army ROTC (Reserve Officers’ Training Corps) is one of the best leadership courses in the country. It is an Army leadership and field training program that runs during your normal school schedule. It trains you how to lead and conduct missions as a future officer in the Army. When you graduate, you will earn your commission and gold bar of a Second Lieutenant. It is the best way to get a feel for the Army and still lead a normal college life. The USC Army ROTC Program is comprised of cadets that come from varying backgrounds but come together to train in order become future leaders of the United States Army. Cadets work together as a cohesive team, exhibit camaraderie, and act as a professional organization. While they are USC students, their qualities as a leader that they learn in ROTC are demonstrated in their everyday life activities and distinguishes them from the rest of their peers. Check out USC ROTC on social media! Want to stay up to date on all the activities and events of the USC Army ROTC Program? Follow our social media outlets on Facebook and Twitter, which are updated weekly! The Trojan Battalion does not consist of just the University of Southern California. 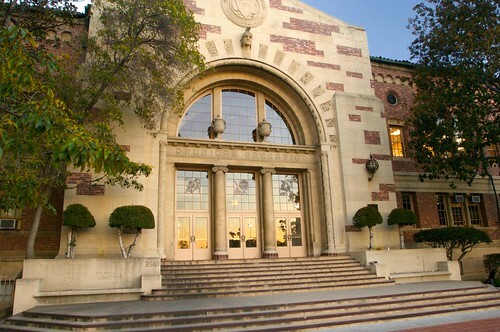 Though USC provides the headquarters for the battalion, in all, four universities work together to provide top tier training for cadets across the greater Los Angeles area. For more information on the other member schools, follow the links below. Cadets have Summer Training Opportunities to go on fully covered trips (room, board, and food) by the U.S. Army in order to train in real Army environments with real Army units. These training opportunities are not only domestic, but also located all over the world. These Summer Training Opportunities range from training with the U.S. Special Forces (Robin Sage summer training), to learning how to jump out and parachute out of U.S. airplanes (Airborne School). Find out how you can take advantage of these summer training opportunities. Need a Color Guard or Honor Guard ceremony? Honor the National Anthem and the American and State Flag by having USC cadets render honors in full military dress uniform. We conduct ceremonies for all types of events, from Greek life functions, sporting events, to honoring a guest speaker. Want to stay up to date on all the activities and events of the USC Army ROTC Program? Follow our social media outlets on Facebook and Twitter, which are updated frequently!